Dr. Roshen Ganesh received his Doctorate in Dental Science from the University of Western Cape in Cape Town, South Africa in 1983 and Post Doctorate Diploma in Dental Surgery from the University of Stellensbosch, Cape Town. He served as the dental director of a private dental clinic in Verulam, South Africa for 22 years prior to starting his practice in Santa Monica in 2004. His extensive experience with advanced procedures and technology is a product of training all over the world. Dr. Ganesh was one of the first dentists worldwide that trained with the CEREC technology starting in 1994. He holds postgraduate advanced certifications in CEREC technology from the University of Zurich, Switzerland, the University of Liverpool, Great Britain and the University of Pretoria, South Africa. He has also trained with Sirona in Bensheim Germany with CEREC 1. Dr. Ganesh has trained intensively at various prestigious dental institutes in the US on esthetics, endodontics and implant reconstructive rehabilitations. Dr. Ganesh currently lives in Santa Monica with his wife, and is the father of two sons. He is an avid cyclist and marathoner. In his free time he enjoys windsurfing, kitesurfing, sitting down with a book at his favorite local coffee shop, and meeting new people. Whether in the office or at home, Dr. Ganesh is constantly striving to build beautiful, meaningful smiles. Dr. Ganesh is a member of the Academy Of Microscope Enhanced Dentistry, West Los Angeles Dental Society, California Dental Association and the American Dental Association. 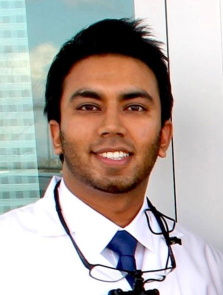 Dr. Ramiro Ganesh was born in the sunny city of Durban, South Africa. In 2004 he moved to Santa Monica where he attended a small private Christian College in Southern California. He went on to receive his Doctorate in Dental Surgery in 2011 at the University of the Pacific Arthur A. Dugoni School of Dentistry in San Francisco. University of the Pacific is renowned for producing graduates at the highest clinical standards. Dr. Ramiro Ganesh currently divides his time as a dentist between his office in Austin, Texas and Santa Monica Esthetic Dentistry in California. Dr. Ramiro Ganesh developed his passion for dentistry while volunteering for various health missions in the rural areas of South Africa. Excelling in the surgery team, he went on to refine his skills in dental school. Dr. Ramiro Ganesh’s commitment to improving the health of his community and his passion for others have become driving factors in his career as a dental professional. When Dr. Ramiro Ganesh is not in his white coat, he enjoys playing tennis and Squash, and snowboarding in the winter. He has also been involved in various martial arts since preschool; a discipline that has contributed to the intensity, focus, passion and accuracy needed for his profession. Meet the rest of our smiling team!